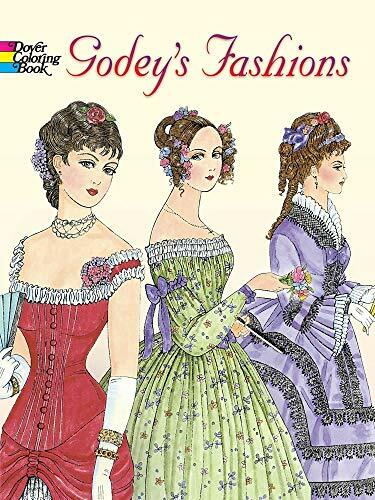 Superbly rendered illustrations, adapted from Godey's Lady's Book, a popular 19th-century fashion magazine, provide authentic views of evolving Victorian fashions ― from lace-edged necklines and elongated bodices to fitted bonnets and extravagant bustles. Thirty plates depict lavish dresses, gowns, and coats as well as accessories. Ming-Ju Sun has worked in fashion advertising as an illustrator, art director, and photographer. Her original illustrations for Garfinckel's department store, along with her original drawings from Dover's Fashions of the First Ladies colouring Book, are archived at the Smithsonian's National Museum of American History.